Place small bowls, cookie cutters or paper baking cups in box or lunch container. Arrange cereal and fruit in container, using photo as a guide. Serve immediately, or store covered in refrigerator up to 1 day before serving. 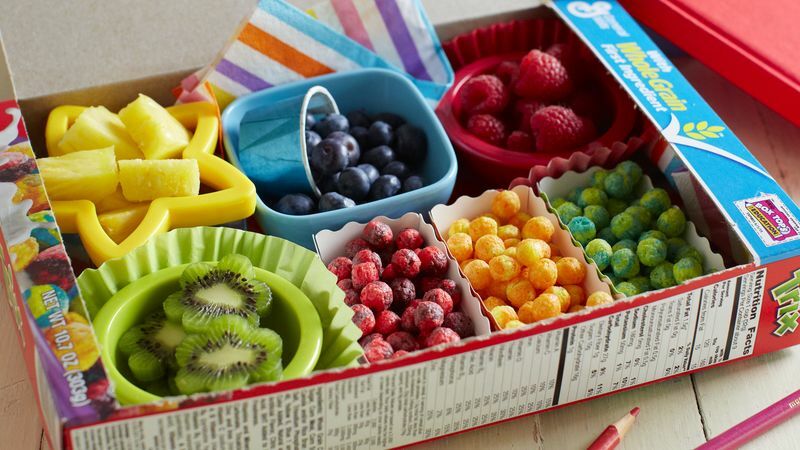 This fun bento box contains both fruity cereal and lots of fresh fruit. Pack a colorful box for a morning--or any time of day--energy boost. Use a Trix® cereal box to make your bento box!